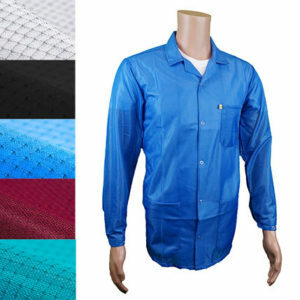 Medium weight ESD jacket with a V-Neck Collar is perfect for all working environments. Transforming Technologies 9010 Series ESD Jackets provide high-quality ESD protection at a great value! 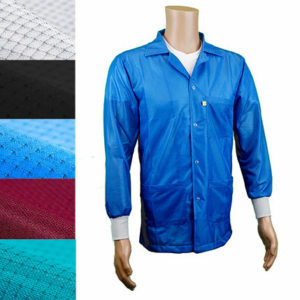 9010 Series jackets are fabricated from lightweight 90% polyester and 10% carbon fabric for unmatched operator comfort. 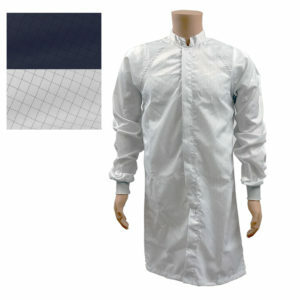 Features a snap-front closure, snap cuffs, three roomy patch pockets, and v-neck style collar. 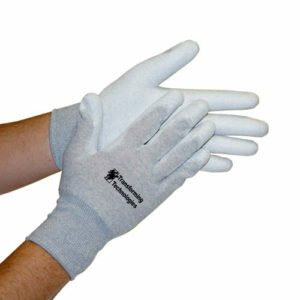 The 9010 Series garment maintains consistent continuity readings after 100 wash cycles. Available in blue, black, and white. 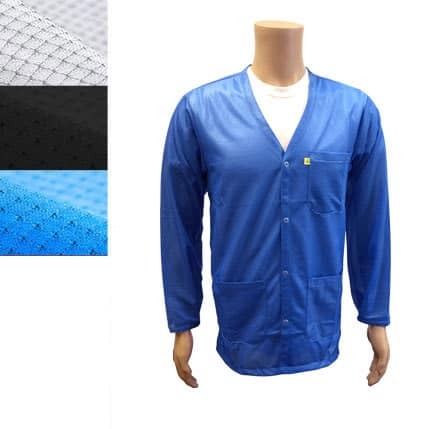 The 9010 Series ESD Jackets have been independently tested and proven to meet the requirements for all three ESD garment categories defined by ANSI/ESD S20.20-2014 including the Groundable Static Control Garment System which is the most stringent of the garment resistance requirements. 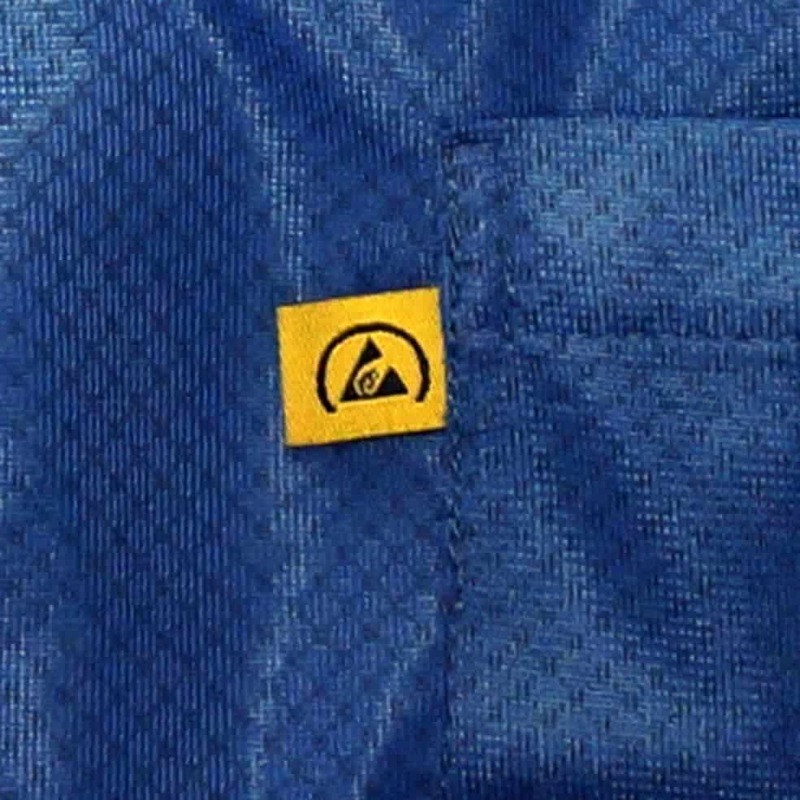 Read the ESD Garment Test Report. Groundable Static Control Garment System – meets all of the requirements of a Static Control Garment and a Groundable Static Control Garment. In addition the resistance from the body contact point to the garment’s groundable point must be less than 3.5×10^7 ohms. 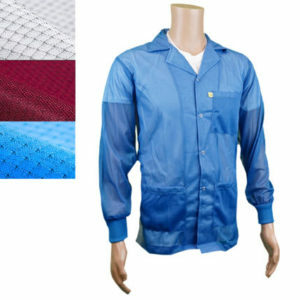 The 9010 jackets that were tested were washed 100 times, and still meet all of ANSI/ESD S20.20-2014’s resistance requirements including the highest level as a Groundable Static Control Garment System. Machine Wash Warm. Do Not Bleach. Do Not Add Detergent or Softener. Cool Tumble Dry or Hang. Remove Promptly. 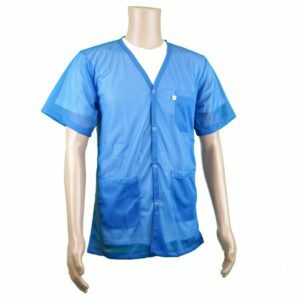 Surfactants such as laundry detergent and fabric softeners can chemically break down the black carbon static shielding fabric woven into ESD smocks and lab coats. Do not add them to wash.